Today we had the honor of visiting Lakota Solar Enterprises, a company started by Henry Red Cloud. 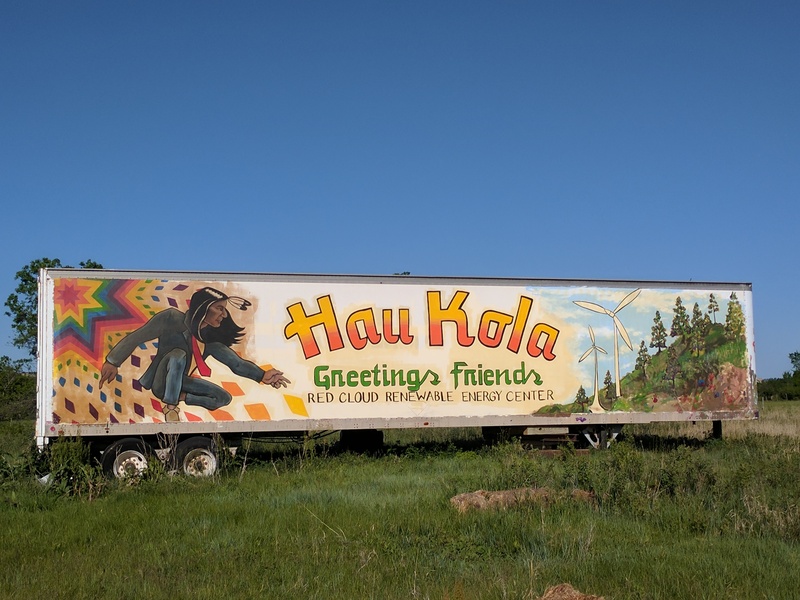 Lakota Enterprises is a native-owned solar company that produces solar heating units and provides green job training to help the community attain energy sovereignty. We toured his workshop, sustainable farm, a straw bale house, and a portable solar trailer that he brought to the Standing Rock protests. Mr. Red Cloud is a passionate, kindred soul. His deep care for his community and for the land we live on is obvious in how he speaks. He discussed with us current affairs, the rights of Native Americans, and the inherent responsibility of all to take care of our earth. On the day we met Mr. Red Cloud he had spent the day planting thousands of pine seedlings. He is truly a pioneer and icon in his field.